Below we have provided general information on commonly asked questions we receive about Merit Systems Protection Board (MSPB) law. Please keep in mind that this information is general in nature; we highly recommend talking with one of our MSPB lawyers to receive information specific to your case. Our law firm has represented thousands of federal employees from coast-to-coast for over a quarter century, and we are here to help you! Which entities hear appeals of the MSPB? Generally speaking, appeals alleging discrimination go to Federal District Court while all others go to the US Court of Appeals for the Federal Circuit. Additionally, the Director of OPM can file an appeal. So can Special Counsel. What is the largest amount the MSPB has awarded? To date, it is $820,000 in the 2013 case of Robert W. Whitmore v. Department of Labor, where Whitmore was terminated after testifying before Congress that OSHA’s workplace injury and illness program was deliberately ineffective. This result is obviously not typical and you should not expect such a result. When Is It Permissible To Fire A Federal Employee? Terminating a federal employee may be legal in many situations. For instance, employees may be terminated if a federal agency must reduce their workforce due to budget cuts or there is no longer a need for the employee’s position. In addition, a federal agency can terminate an employee if there are allegations of poor performance or misconduct. However, there must be evidence of substandard performance on file and the employee must receive a proper warning in writing. If this is not done correctly or if it is not done at all, you may be entitled to your job back, plus back pay. Hence if a federal agency does not follow standard procedure or if an employee is otherwise removed unjustly, the employee can file an appeal with the Merit Systems Protection Board. If you are in this situation, it is crucial that you consult with a lawyer familiar with the MSPB and federal removal process. Do this as soon as you are notified of the removal or termination, since timing is of the essence when filing an appeal. You should know your rights and be completely informed as to what remedies you are entitled under federal law. Under which branch of government does the Merit Systems Protection Board fall? The MSPB falls under the Executive branch of government. It is considered an independent, quasi-judicial agency that safeguards the Federal merit systems. What Types of Cases Does the MSPB Not Handle? The MSPB typically does not handle discrimination cases. This responsibility belongs to the U.S. Equal Employment Opportunities Commission (EEOC). Our companion federal employment law practice enables us to handle all federal employment EEO and Office of Personnel Management (OPM) matters. 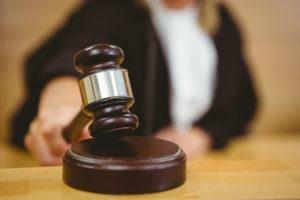 However, where an adverse employment action otherwise falls within the jurisdiction of the MSPB, for example if a removal is alleged to have been based on prohibited discrimination, the MSPB can provide full relief in that affirmation defense claim. That includes awarding compensatory damages. This is referred to as a mixed case appeal. Next, the MSPB will not provide advice or guidance on employment policies or examination of benefits. This responsibility belongs to the Office of Personnel Management (OPM). Finally, the MSPB will not investigate prohibited personnel practices (PPP). This is the responsibility of the Office of Special Counsel (OSC), but the MSPB will hear appeals related to PPP’s. 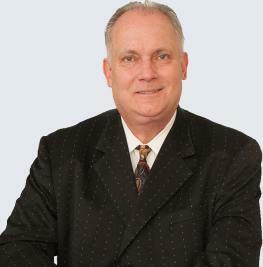 Melville Johnson, P.C., can work with you to prosecute your PPP complaint before the OSC. Does The MSPB Handle Demotions? Yes, a demotion involves a reduction in pay, grade, or job duties, and falls under disciplinary and adverse action guidelines. Unlike suspension and termination cases, demotion cases are relatively rare in the federal context. In most situations where a demotion would normally be a recommendation, the federal employer will simply proceed to removal. Like removal, demotion may be deemed proper if the basis is poor performance. Employees must receive notice of the proposed demotion, and must also get an opportunity to respond or counter the proposal offer. Accepting a demotion doesn’t necessarily eliminate an employee’s ability to contest this demotion before the MSPB. However, it can create be more difficult trying to convince a judge that the demotion was wrongful if there was due process and the appealing employee voluntarily accepted a proposed demotion. Our attorneys have had success appealing cases for Reconsideration by the OPM, appealing to the Merit System Review Board (MSPB), appealing to Federal Appellate Courts, and we have even argued on behalf of Federal employees at the US Supreme Court. What is the Federal Employees Retirement System (FERS)? Take a look at our glossary page which we’ve created with tons of information you need to know about FERS here! Do US Postal Service employees qualify for federal disability retirement benefits? Generally speaking, yes, but Postal Employees must meet certain requirements to qualify for FERS benefits. If you are a Postal Employee we recommend consulting with one of our disability retirement attorneys about your specific situation. Can I obtain a waiver for the time limit placed on applying for FERS disability retirement benefits? 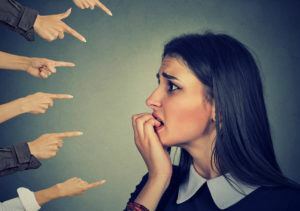 In some cases, such as for mental illness, you may qualify for a waiver of the time limit if you can demonstrate that you were mentally incompetent on the date of your separation from the federal government or within one year of this date. What if I was denied FERS disability benefits? Federal employees are often denied at first for many reasons. The rationale is sometimes technical and sometimes substantive. Our attorneys have had success appealing cases for Reconsideration by the OPM, appealing to the Merit System Review Board (MSPB), appealing to Federal Appellate Courts, and we have even argued on behalf of Federal employees at the US Supreme Court. At some point during your career, you may witness a situation that you believe to be illegal, a gross waste of funds, an abuse of authority by a supervisor, fellow federal employee, or more. As a federal employee, your position may make you privy to certain information that the public will not have access to and in so doing will put you in a position to report the activity – to act as a whistleblower. Federal employees are encouraged to speak out if they witness illegal or unethical activities at work. This includes abuses of authority by supervisors, gross wastes of funds, or other government wrongdoing. Unfortunately, some whistleblowers find themselves facing work-related retaliation as a result of their whistleblowing. Although it is illegal to retaliate against an employee as a result of whistleblowing activities, retaliation is still an all too prevalent practice. If you are a Federal employee and you are facing retaliation after disclosing government wrongdoing, we can help. Call the attorneys at Melville Johnson, P.C. at (888) 594-0424 or complete the form to your right and we will contact you to discuss your rights. When you need us, we’re here for you. 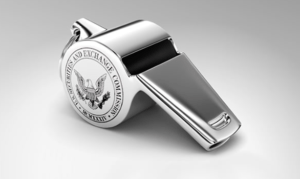 What is the Whistleblowing Protection Act? This law became effective on July 9, 1989 and strengthened the protections offered to federal employees who claim unfair treatment as the result of whistleblowing. Types of retaliation employees face include a change of duties, being passed over for promotion, and even complete removal from a position. These are all prohibited practices, and federal whistleblowers are entitles to an Individual Right of Action to protect them from any retaliation..
Where can employees report whistleblowing? Employees can report their concerns to a supervisor, the Inspector General (IG), or the Office of Special Counsel (OSC). When an agency official takes, threatens to take, or fails to take a personnel action against an employee because of this activity, it is considered retaliation.Despite the gact that the Whistleblower Protection Act prohibits retaliating against a whistleblower retaliation, it is still all too common. When a Federal Agency has their budget cut, do they have alternatives other than Reductions in Force (RIFs)? Cutting travel or training expenses. This is one of the most common ways agencies avoid RIFs. Travel and training generally come from the same accounts which disburse salaries. Cutting purchase or maintenance expenses. Offering employee buyouts, or Voluntary Separation Incentive Payments (VSIP). What Duties Does A Federal Agency Have For Maintaining Re-Employment Priority Lists? Federal agencies must establish Reemployment Priority Lists (RPL’s) for each area in which it separates eligible competitive service employees as a result of a Reduction In Force or RIF. Furthermore, agencies must give employees information about the list when it issues a notice of separation. To register for the program, federal employees must complete and submit the RPL application on or before the RIF separation date. What is a Voluntary Separation Incentive Payment (VSIP)? A VSIP is a cash payment which federal employees may be offered in order to leave voluntarily. For the most part, the maximum Voluntary Separation Incentive Payment is $25,000 ($40,000 for Defense Department employees). The payment is considered taxable. If a federal employee accepts a VSIP buyout, they generally must be leave on or before a specific date. Also, the employee cannot return to federal employment for at least five years (unless they repay the VSIP). What Should I Do If My Agency Is Considering a RIF? If your agency is considering a Reduction In Force, we recommend that you contact one of our attorneys today. There are many things you can do to prepare for a RIF in your agency. For example, it would be important to ensure that your performance appraisals are completed and in your file, as your placement on the retention register will play a factor in your likelihood of being terminated. Additionally, you may be able to negotiate a demotion and keep your pay for at least two years. Where can I find the regulatory requirements governing a Reduction In Force? Regulatory requirements governing a Reduction In Force are in Title 5, Code of Federal Regulations, Part 351. Click here. What are the 'Two Rounds' of RIF competition? In “First Round RIF Competition”, the Federal agency applies the four retention factors to a competitive level. This is done to identify which employee has the lowest retention factor. In “Second Round RIF Competition”, the agency applies the four retention factors again, this time to determine if a released employee has a bump or retreat right to a position in a different competitive level. Where can I see a sample Retention Register? The below sample is provided by the Office of Personnel Management. It includes additional credit for performance in the “RIF SCD”, and is a competitive level for GS-343-12 full-time employees holding competitive service appointments. Is the procedure for disciplining a federal employee based on misconduct treated differently from discipline based on poor performance? Yes, generally discipline based on misconduct follows a separate set of procedures than discipline based on poor performance. Regardless, the Federal agency must give employees a written proposal and right to reply before taking any disciplinary or adverse actions. Also, employees maintain the right to appeal to the Merit Systems Protection Board (MSPB). In the case of a federal suspension, does the duration of the suspension matter? Yes, the amount of protection afforded a federal employee who has been suspended varies greatly depending if the suspension was for more or less than 14 days. For suspensions of 14 days or less, an employee must receive advance written notice. Yet for suspensions of more than 14 days, the employee must receive at least 30 days advance written notice. And for indefinite suspensions there are even more requirements. Is an RIF considered a disciplinary action? Reductions In Force (RIF) constitute a very specific type of removal, and are not a disciplinary action. In the instance of an RIF, federal guidelines permit agencies to remove employees as a cost-saving measure, such as in the case of a budget reduction. In the case of an RIF, employers create a list to rank agency employees by type and length of employment, prior performance reviews, and veteran’s preference status. Generally, employees with the least amount of experience and the poorest performance reviews are the first to go. We recommend consulting with one of our lawyers if your agency is dealing with an RIF – there are many things you can do to protect yourself in an RIF situation, and employees maintain many due process rights. Please keep in mind that the above information is general in nature and is not intended to replace specific legal advice about your particular situation! 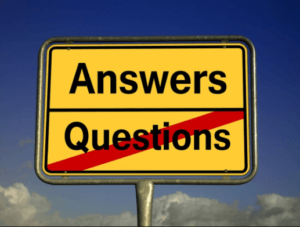 To get your questions answered, please contact our MSPB attorneys today. Our law firm has represented thousands of federal employees from coast-to-coast for over a quarter century, and we are available to help you!